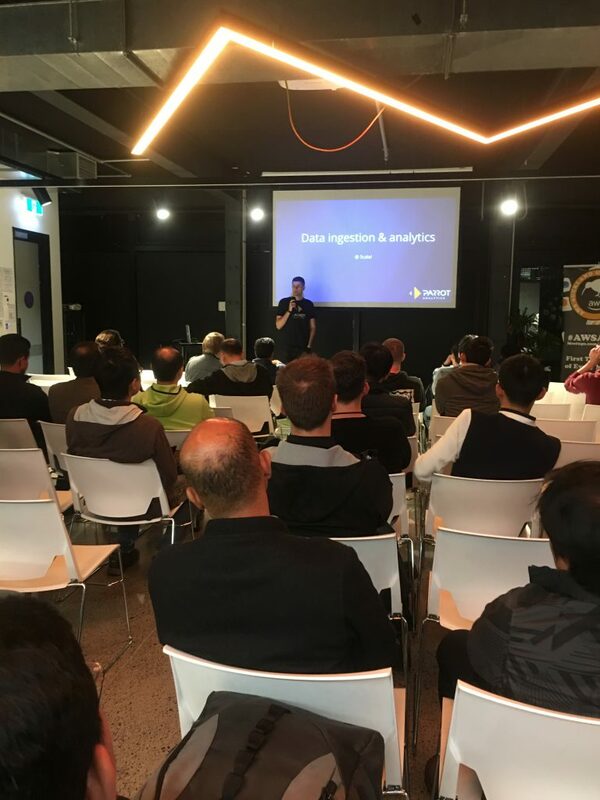 The Auckland Amazon Web Services (AWS) Meetup gave a good introduction to the Kinesis real-time stream analytics setup and integrations. This post is not a review, just some info for people thinking of joining. 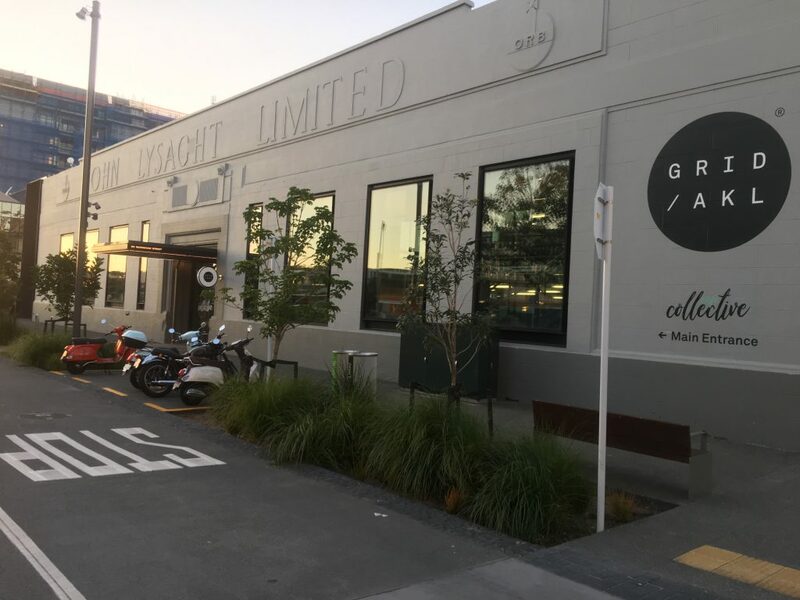 Held at the Grid Auckland, a business incubator near the Auckland waterfront. 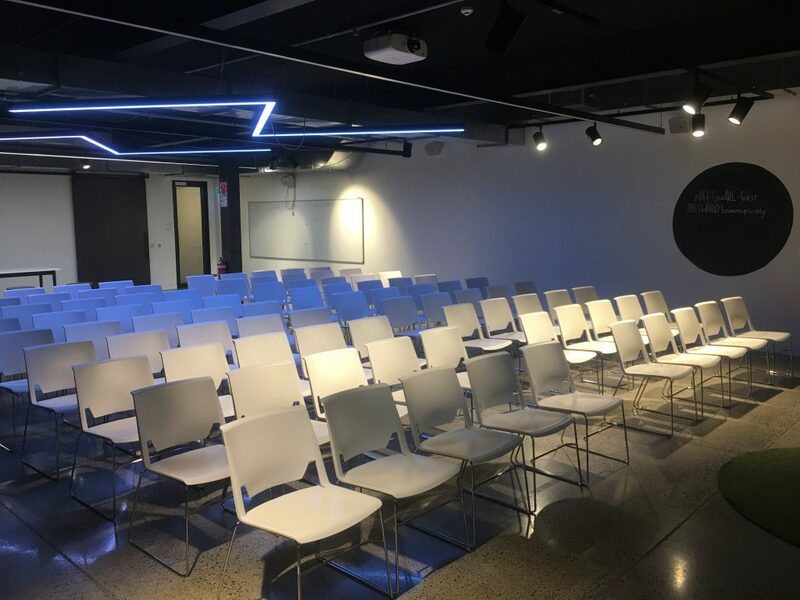 The venue in the John Lysaght building is excellent for MeetUps of medium size. Can easily fit the people and the space is not too large for sound to get lost. There is a PA system and good projection equipment. The MeetUp was well attended with about half the numbers attending vs people who said they’d come. 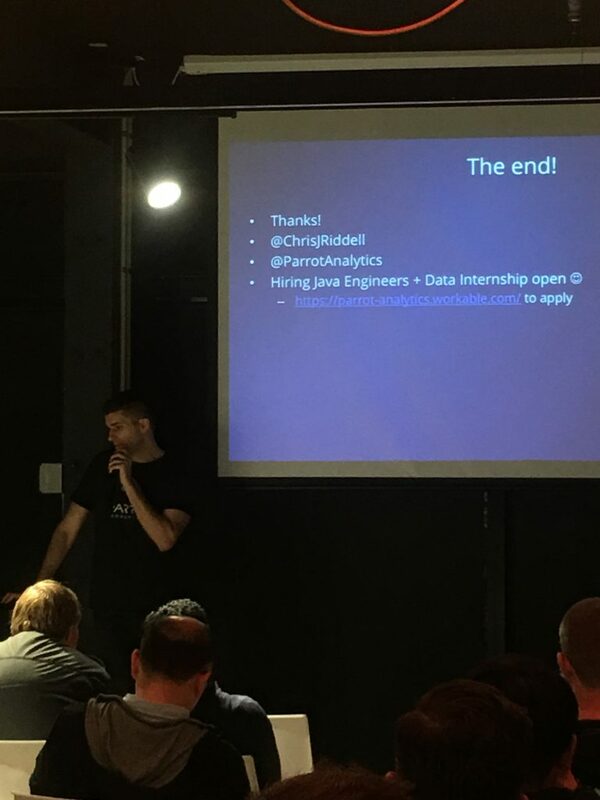 Chris Riddell from Parrot Analytics was excellent and knowledgeable, although some of the demos didn’t go as planned. 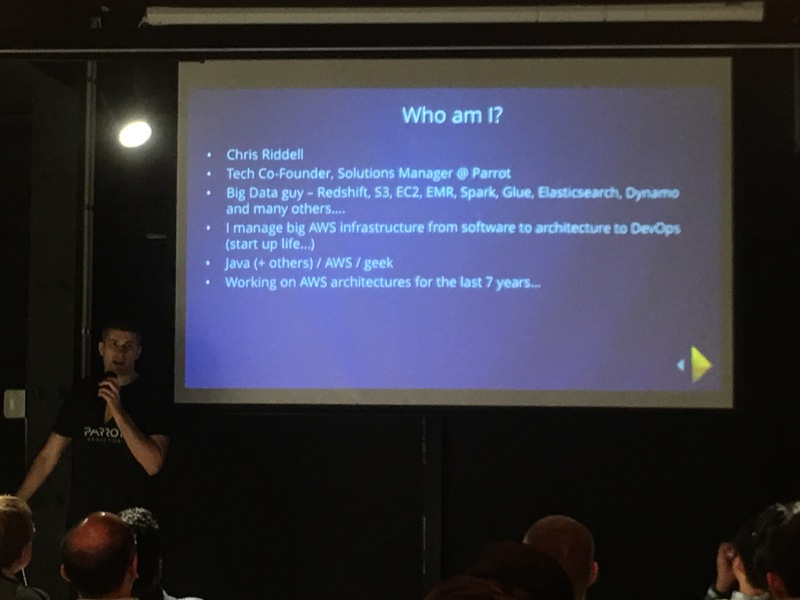 Presentation was a good broad introduction to the technology, which was quite useful. 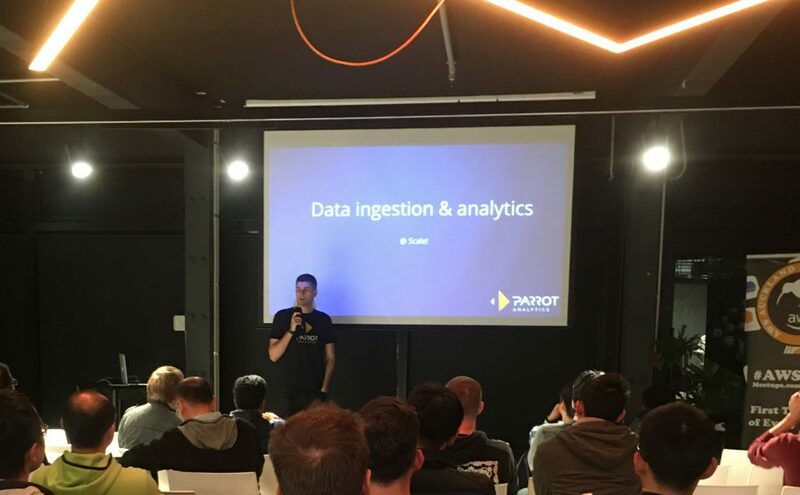 I would have preferred a realistic use-case in the demo rather than the generated random data, nonetheless it did demonstrate the setup of the various stages in a real-time analytic pipeline. AWS Kinesis and its integrated components are an interesting product in the Amazon Web Services range. The applications for near-real time streaming analytics are interesting, although I’m concerned about security. Video is one of the latest applications and the streaming and analytics of real-time video data will be one of the most interesting applications of this technology.